Emily Winterbotham made a presentation and facilitated a discussion group at Friedrich Ebert Stiftung with the Young Leaders Forum on the topic of transitional justice. Sogol Zand and Chona Echavez provided a joint presentation based on research in Parwan Province analysing women’s participation in the National Solidarity Programme and microcredit programmes and its significance for women’s empowerment. This public lecture by Yama Torabi highlighted findings from recent research on corruption at the subnational level, and possible approaches for addressing it. Former AREU director Paul Fishstein presented on his research in Balkh Province, examining the relationship between development activities and security. This was a well attended public lecture. 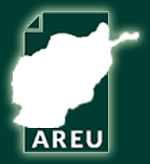 AREU Director Dr Paula Kantor presented AREU’s response to the 2010 Kabul Conference to the press.